Andrew has a strong interest on global health initiatives, previously being the 2009-11 President of the EnSIGN global health group and continuing to serve as the Assistant National Coordinator of the Fiji Village Project. Chi Hau Tan is the Treasurer of Ignite global health group at Monash University and a committee member of the Global Health Mentoring Program, an Ignite initiative to educate interested medical students about global health and future pathways. Katherine is undertaking her second year of a combined Bachelor’s degree in medicine and arts, with a focus on foreign languages. She is currently one of the co-editors of AMSA’s GHN publication Vector 2010-11, and is involved in several global health groups and initiatives, currently serving on the LINCS (Local & International Needs Contributions Scheme) committee as publicity officer. Figure 1. Participants are assessed in water rescue from a previous module during a water rafting exercise. Here, participants begin to resuscitate an unconscious patient during a disaster simulation. Disaster medicine is a subject category that invokes thoughts of emergency medicine on a much grander scale; one that involves all levels of healthcare governance. But in reality, it is an area of medicine that is often neglected in Australia, despite its pertinence in this land of extremes. This has been shown to be currently so with the education of Australian medical students, where it is perceived as being too “young a branch on the old tree of medicine.”  But what exactly is disaster medicine, and why is there a lack of discussion of this field in a country so often threatened by disasters, natural and man-made? This was recently investigated by a delegation of medical students across Australia during a summer course in disaster medicine and management. They were amongst the 41 students, across five continents, that converged upon Gadjah Mada University in Yogyakarta, Indonesia under the auspices of the World Health Organisation and the Indonesian Ministry of Health. The following article explores the nature of disaster medicine. It then outlines the experiences of students undertaking the summer course run in Indonesia in this area. 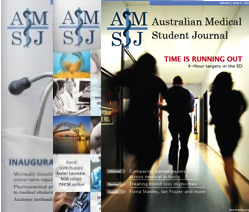 Finally, it provides an insight into the potential value of incorporating disaster medicine training into the Australian medical education curriculum. Imagine you are on placement in a rural location in the middle of summer enjoying your free time when wildfires rapidly surround and engulf the town you are based in. Local gas explosions rock the area, as you see dozens of patients with severe burns or in critical conditions lying on the ground. Some are conscious, screaming or clutching their abdomens, while others are unconscious and there is word of hundreds more streaming into the local hospital to escape the fires. All desperately need your help. Hysteria erupts and communication lines are down due to the catastrophe that has suddenly occurred. With nothing in hand, what do you do with no one else on the scene? Who do you save and how do you deal with streams of panicking individuals?